Top news from the CPCWiki forums as Nemo Kantio has given us a brand new update for his upcoming Ghosts 'n Goblins overhaul, on the GX4000. Originally released way back in the 80's and ported to a number of platforms, Ghosts 'n Goblins was one of the best action adventure games I have ever played featuring a knight, creepy enemies, lots of graves, a wicked soundtrack and a high level of difficulty. 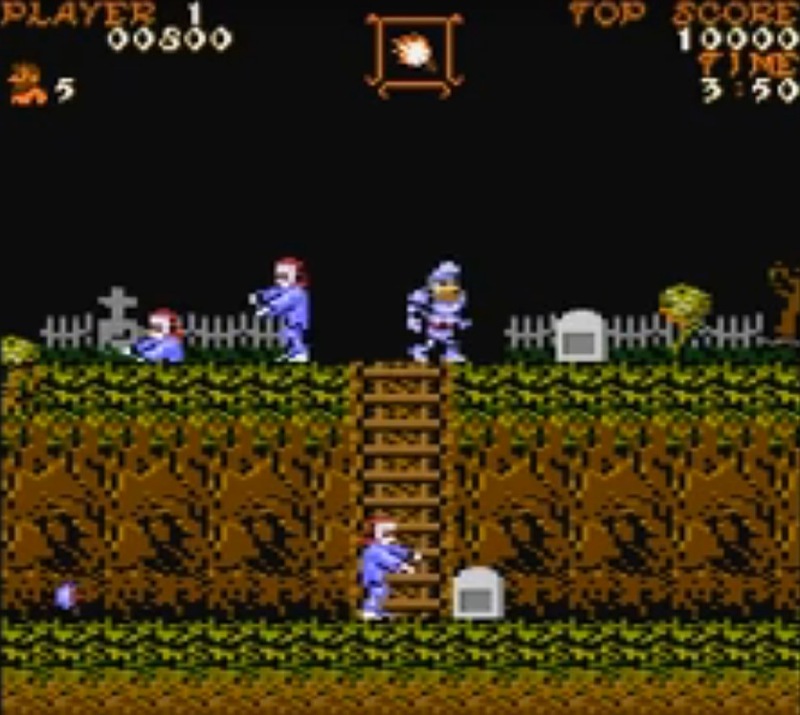 So you can excuse my excitement as Nemo Kantio has released a new video for his Ghosts 'n Goblins overhaul which is known as Ghouls 'n Goblins. This is based on the first game in the Ghosts 'n Goblins franchise which appeared on many different systems such as the Amstrad, C64 and ZX Spectrum. And it is that game from the Amstrad CPC version which is getting a much needed overhaul as can be seen in the video above. While it is still in development, you can of course see the overhaul has almost smooth scrolling, enhanced detail and could if it carries on, even give the C64 version a run for its money. Something I have wanted for a very long time. Currently we don't have a release date, but according to Xifos the 6 levels are done, the 7th (astaroth fight) is in progress and wont be released until he has TotO's agreement !